Ariel and Eric. wallpaper made oleh me^^. HD Wallpaper and background images in the the little mermaid club tagged: the little mermaid disney movie princess ariel eric. 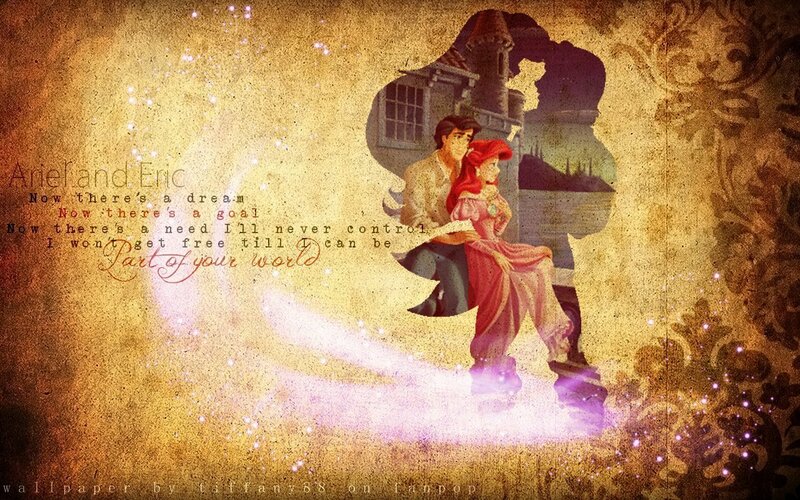 This the little mermaid wallpaper might contain anime, komik, manga, and kartun. LOVE THIS PIC & THE SAYING FITS PERFECT..WELL DONE!! !